An oasis in the middle of the mighty Sonoran Desert, Phoenix, Arizona, is a hot destination year-round. An oasis in the middle of the mighty Sonoran Desert, Phoenix, Arizona, is a hot destination year-round. With its sunny weather and rugged landscape, outdoor enthusiasts and thrill seekers should have a few new adventure stories to share after taking on one of these four activities. 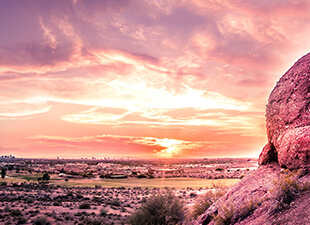 Phoenix locals and tourists alike flock to the challenging trails around Camelback Mountain, one of the city’s iconic natural landmarks. 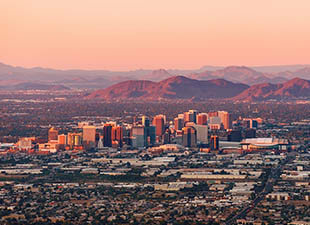 The 1,200-foot summit offers sweeping views of both Phoenix Mountains Preserve and the city’s skyline. 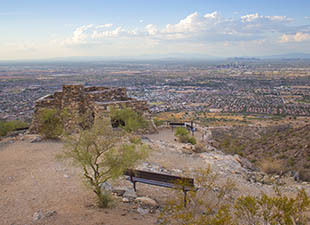 South Mountain Park and Preserve is another popular spot, with two tricky trails you can hike or bike to Dobbins Lookout. 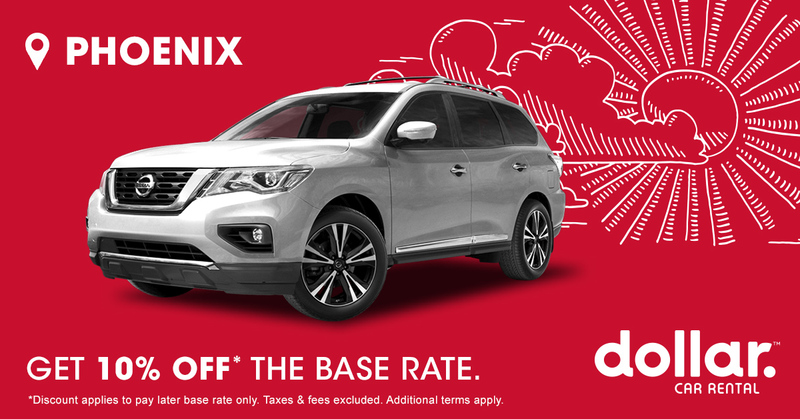 There, you’ll be rewarded with stunning views of the Sonoran Desert, Camelback Mountain, and the Phoenix skyline. If hiking this desert landscape isn’t thrilling enough, consider gearing up and climbing the McDowell Mountain Range, where elevations soar to 3,000 feet. Beginners love the west corner of Tom’s Thumb, and all climbers should be ready for a long rappel trip down — that’s the only way climbers can descend after reaching the summit. 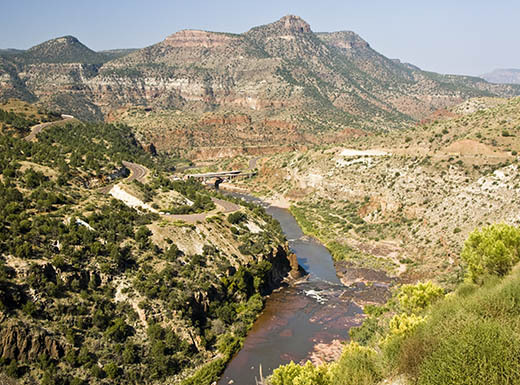 From riding rapids like Maytag, Mescal Falls, and Overboard in the Upper Salt River Canyon, to lazily paddling or tubing down the lower portion, the Salt River serves up a generous shot of adrenaline and a much needed break from the desert heat. The Lower Salt River rapids run through Tonto National Forest, which offers a thrilling opportunity to see local wildlife from a new, and sometimes up close, perspective. Lizards, snakes, bobcats, horses, birds — you can expect to see them all while you kayak, paddleboard, tube, or simply float along the calm waters before tackling some of the wilder stretches. Sign up for an ATV tour and get up close and personal with some of the Sonoran Desert’s most remote scenery. Guides take you on your very own desert adventure, where you might catch a glimpse of jaguars, vibrant flora, and rugged beauty. But the fun doesn’t stop there — trails offer varying degrees of challenges over sandy washes, rocky slopes, and creeks for an adventure that you’ll be reminiscing about long after you’re home. See Phoenix in all its glory from high above ground level with a sunrise or sunset hot air balloon ride or a thrilling helicopter tour. 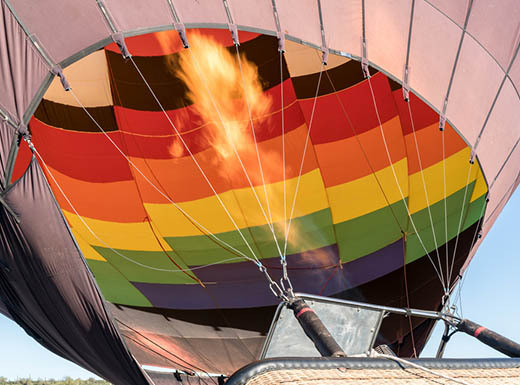 As you soar through the air, your guide will regale you with local legends, fun facts, and points of interest about the area below. Glance down to view the sprawling desert, Deer Valley, and iconic natural landmarks. Not for the faint of heart or travelers with a fear of heights, this is one thrill that takes you up into the sky for a can’t-miss experience. Did these tips get your heart pounding and your adrenaline pumping? Head over to Facebook to find more travel adventures to inspire your next trip. From butterfly sanctuaries to family-style pizza, there are many great spots for the whole family to visit in Phoenix. Here’s a budget-friendly guide to help you plan. 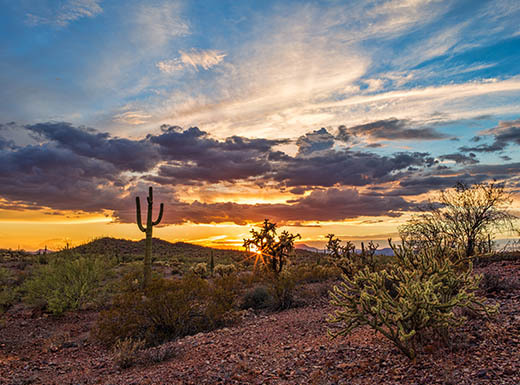 Phoenix has boundless natural beauty that rivals any of its man-made attractions. 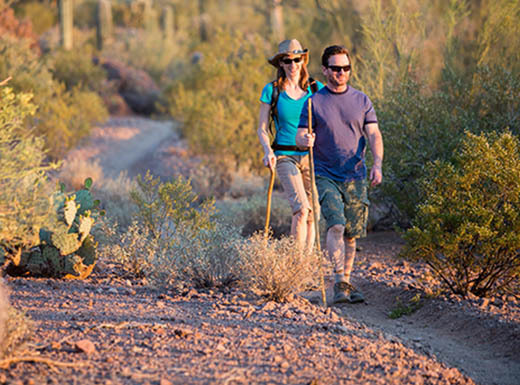 From vast deserts to peaceful lakes, Arizona offers plenty of day trips from Phoenix. Print out this guide before you even think about hitting the road.